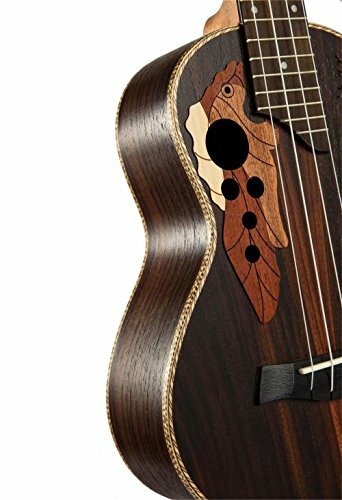 1.Rosewood panel, with 199 Hawaiian traditional manufacturing process, with excellent sound, treble bright, midrange clean, bass deep. Curved back, make sounds louder and clearer. Three-dimensional three-dimensional sense of stronger. 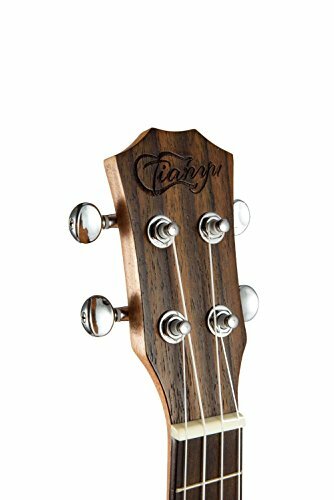 2.Thumb board & bridge, using rosewood build denser, more delicate and sweet voice. 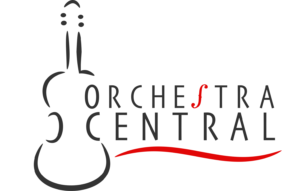 3.Learning easy, zero basis can learn, learning simple songs 3-7 days can be a small success. 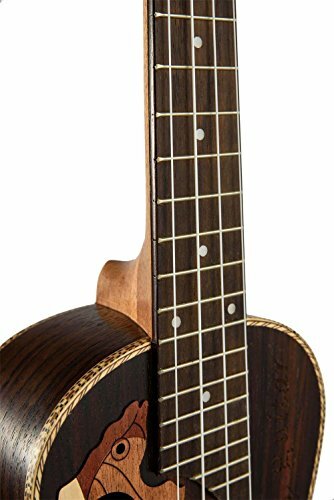 This is a top quality Rosewood ukulele. Made of top quality rose wooden piano box and selected roses wooden fingerboard and bridge, 17 brass and 4 nylon lines. Each product has been rigorously debugged by the worker. To make sure its top quality sound quality. 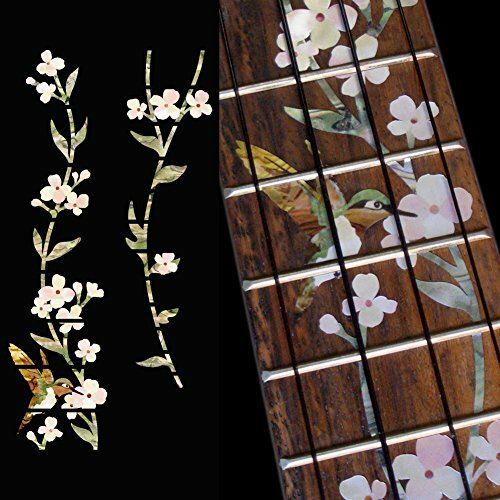 Rosewood fingerboards choose to store many years of very dry and stable rosewood, high strength, not easy to shrink. 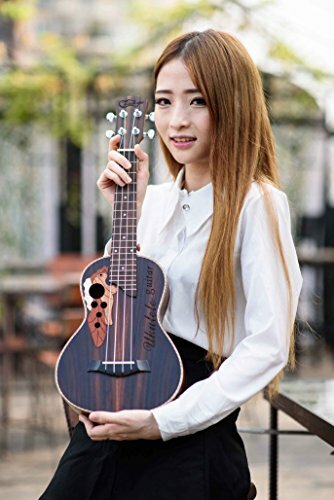 After subsequent fine grinding, delicate and smooth, and because the material properties of rosewood, so the piano sounds more sweet and delicate performance. 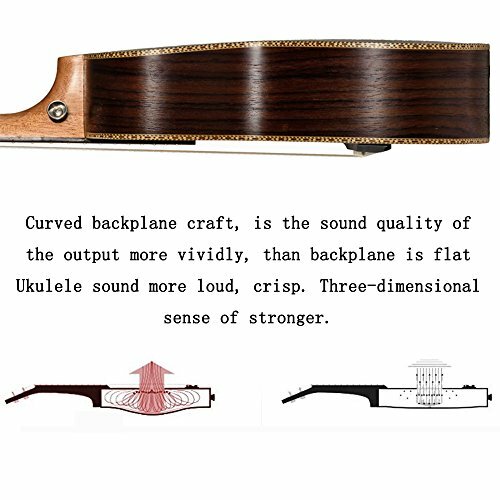 Piano box the use of a professional arc design, so that the sound buffer refraction issued, get a larger volume, increase the resonance, give a boost to sound quality. 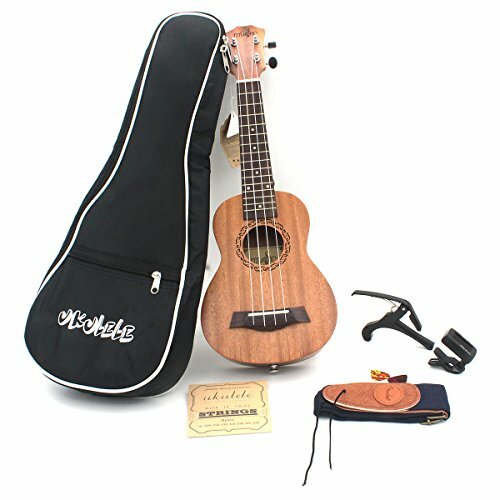 This 23 inch ukulele is a wonderful instrument and is also a great gift choice. It may be done at home, traveling, on the street, on the beach. 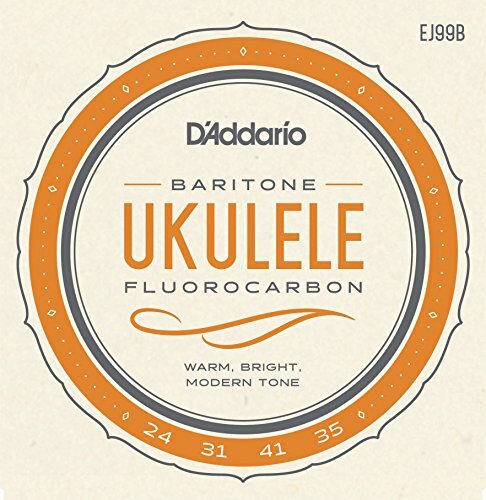 A well-crafted thickened bag with a shoulder strap mean you can bring ukulele to whatever you wish to have. Whether you are a beginner or a professional player, this is your best partner. 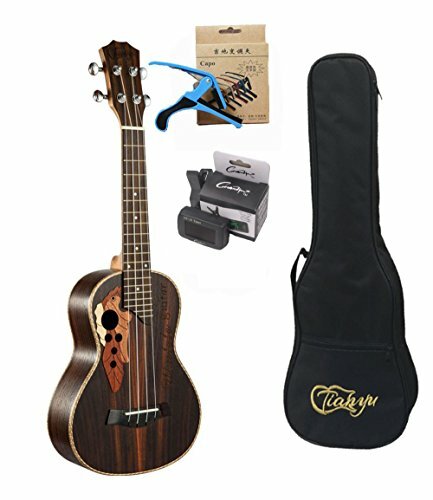 Due to shipping problems, the tuner does not contain a battery and the battery must be purchased by you. 2.Thumb board & bridge, the use of rosewood build denser, more delicate and sweet voice. 3.Learning easy, zero basis can learn, learning simple songs 3-7 days could be a small success. 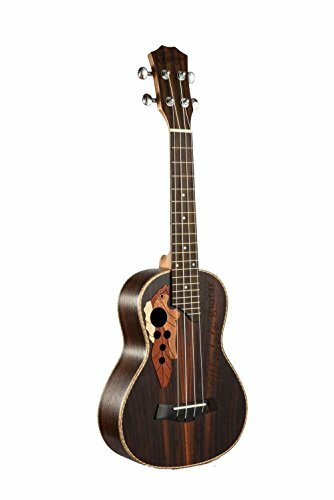 4.It is C-type 23-inch ukulele, not only has S-shaped 21-inch sound brittle and easy to carry the advantages, but also has a T-shaped 26-inch excellent bass. 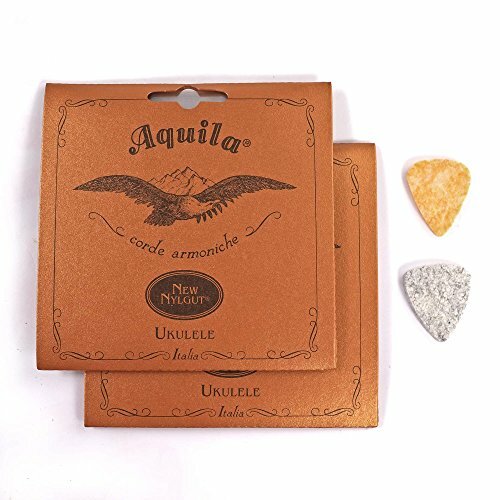 Not only suitable for singing and playing, Fingerstyle effect is also very good. 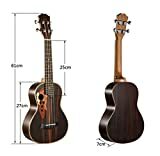 5.Excellent configuration, fully enclosed string button, peach core wood maintain body, fiber string pillow, we also equipped with tuner and Capo clamps.